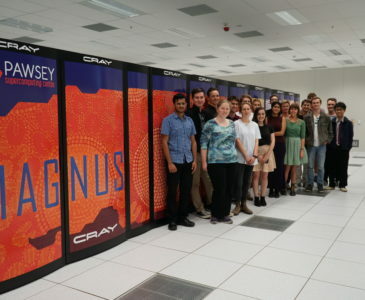 The annual Pawsey Summer Internship program has begun at the Pawsey Supercomputing Centre. Every year, the Centre runs an intensive 10-week internship program. In November 2018, nineteen students were selected to join the program and delve deeper into their scientific areas through high-performance computing. Students will be supervised by project leads on their respective projects, which range from Visualising Aboriginal cultural features, condition monitoring of assets in the resources industry, particle simulation code, atomic and molecular simulation, next-generation sequencing, eDNA analysis, image processing analysis, Malaria, Dengue and Zika disease control; renewable wave energy, machine learning, genetic signatures of complex diseases and quantum combinatorial optimisation. To read more about the students and their projects, visit their profiles on Pawsey’s Facebook page. 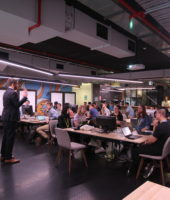 Projects this year come from institutions across Australia including the Pawsey Supercomputing Centre, ICRAR, Curtin University, the University of Western Australia, Murdoch University, Data61, CSIRO, and the University of Queensland. With the internships ending in February, the students have been tasked to present their work as posters during the first Pawsey Friday of 2018. 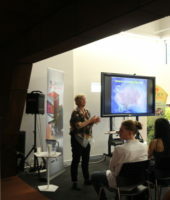 Visit Pawsey’s Facebook page to learn more about each student, the studies they are undertaking and their internships.